Imagine a field of lovely flowers next to a seaside town. 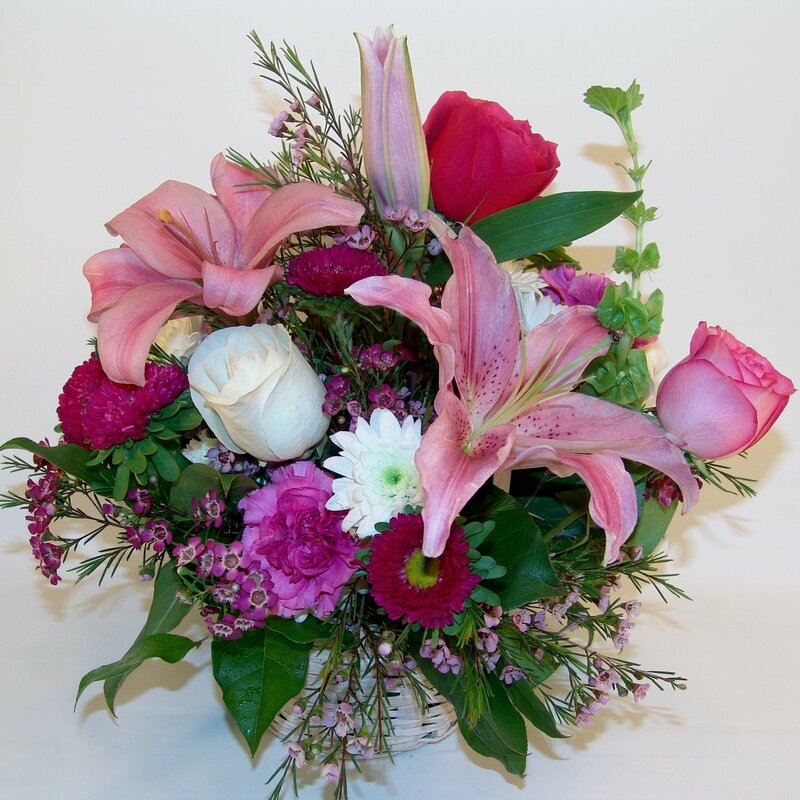 Pink lilies, stargazers, and Irish bells lend this feeling to this piece. Roses and matsumoto aster finish the piece off with a flourish.